This is a compensated review by BlogHer and Kraft. For an opportunity to enter to win a $100 Visa Gift Card and to read about feeding your children fruits and vegetables click right on over to my Review Blog. I think about food a lot. you all might enjoy reading about on this blog. Sometimes I dream even about new recipes! Sometimes I get a bit carried away and end up spending way too much time on a particular recipe, only to have it bomb. Real Women Of Philadelphia Cooking Competition. If you aren’t familiar with this great competition, head on over to the Official site and check it out! You can submit original recipe videos in four categories, including Side Dish, Entree, Dessert, and Appetizer. 16 finalists will be flown to Savannah, Georgia to meet with Paula and compete in the final round. Four lucky ladies will then be chosen as winners and given $25,000. They are having lot of fun over there. Visit the Exclusive Offers section here. Anyhow…back to my cooking dilema! 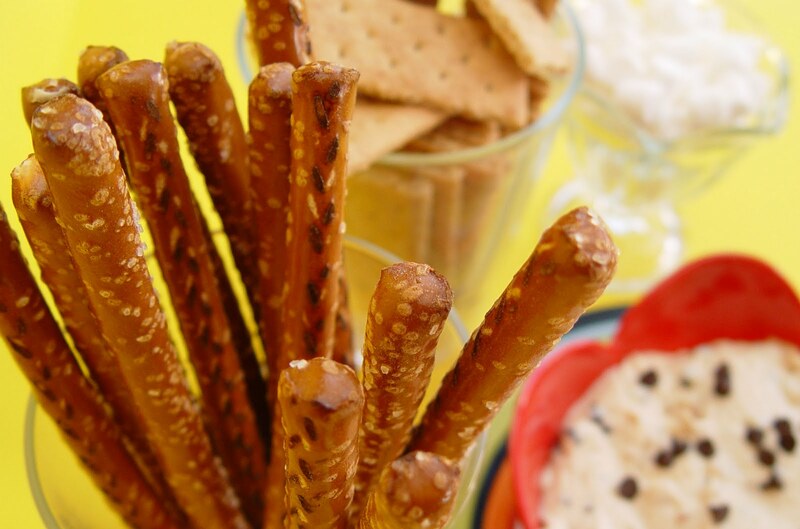 Then, I thought….who doesn’t like a simple appetizer!? Something you could whip up in ten minutes! Just out of a little, simple need. and pat yourself on the back, baby! That was ten minutes well spent. 1. 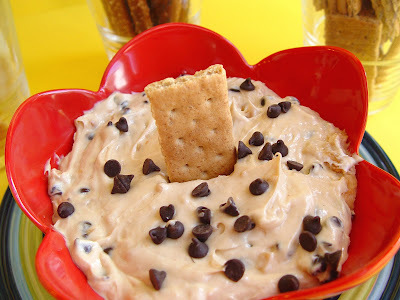 In your stand mixer or in a medium sized mixing bowl beat the cream cheese until nice and smooth. 2. Add the peanut butter, sugars, vanilla and dash of salt. Beat until well combined. 3. Add the cool whip and mix just until combined. 5. 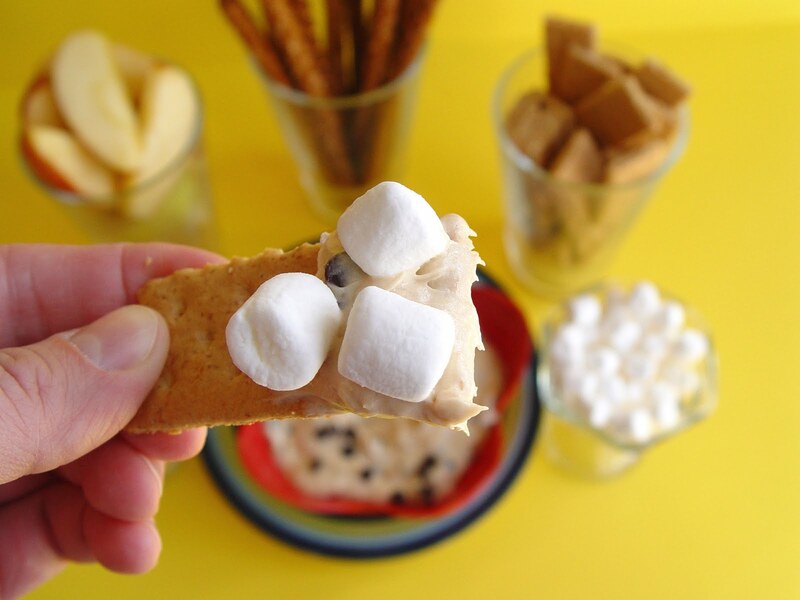 Serve with Graham Crackers, Pretzels, Marshmallows, Bananas and Apples. 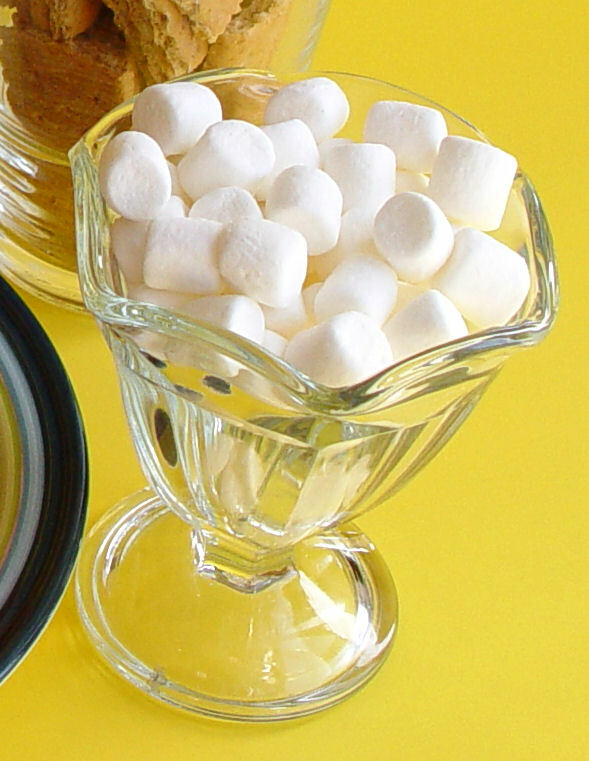 Plop a few little marshmallows on top…. and love it, my friends! Oh my gosh, I think I'd just eat it by the spoonful!! Definitely going on my 'dangerous-addicting-stuff-to-make'list! 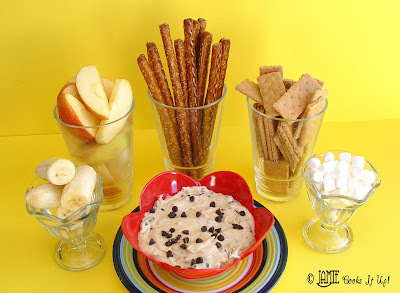 I just made this for snack – maybe not the healthiest, but it was so good. I liked it on the bananas and apples. My kids went through a lot of graham crackers. We didn't have any marshmallows or pretzels. I also didn't have coolwhip – but I did have 1/4 cup of whipping cream – it worked great! Wow! You were able to try it so quickly! So glad it turned out well. I bet it was great with real whip cream. Yum! Thanks for the award. Very nice of you. Um…YUMMY! I can't wait to make this! !